When cutting overhead lines, there is always the risk of coming into contact with the tool or an electric arc from a live adjacent conductor. 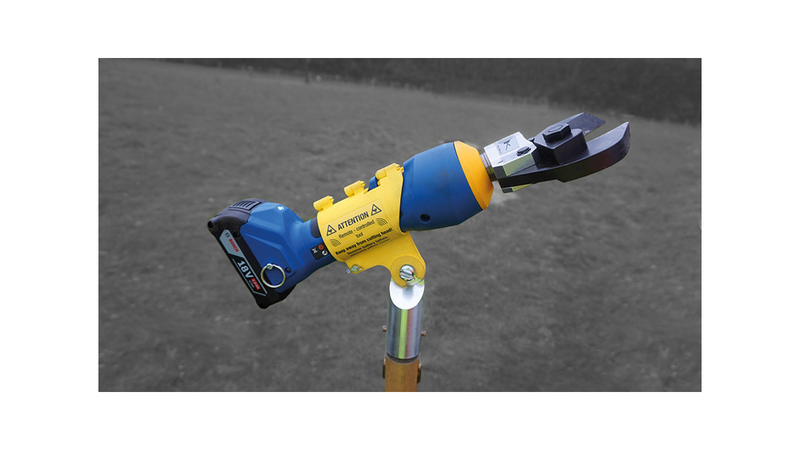 With our new, remote controlled cutting tools you remain on the ground at a safe distance. These tools are moved to their target via a hot-stick. This eliminates the risk of coming into contact with the current. You also save time and effort, since vehicle access or pole climbing equipment is no longer required.